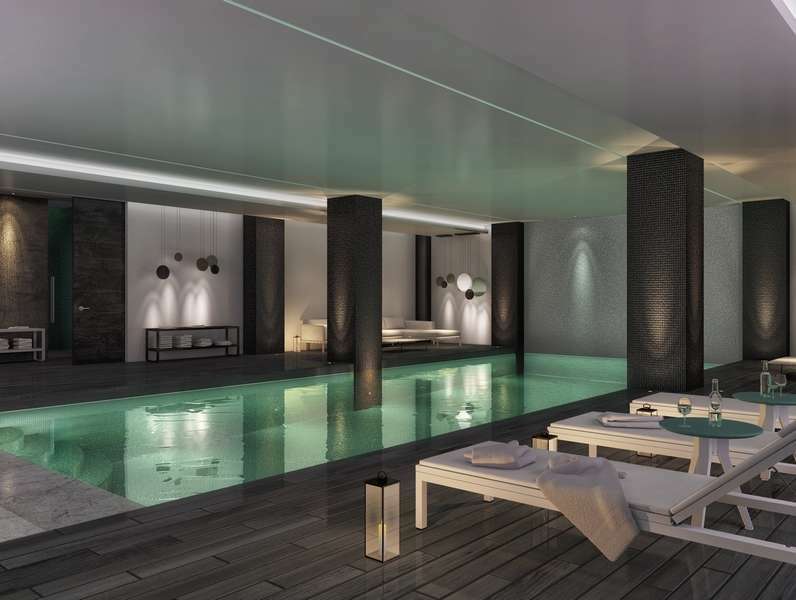 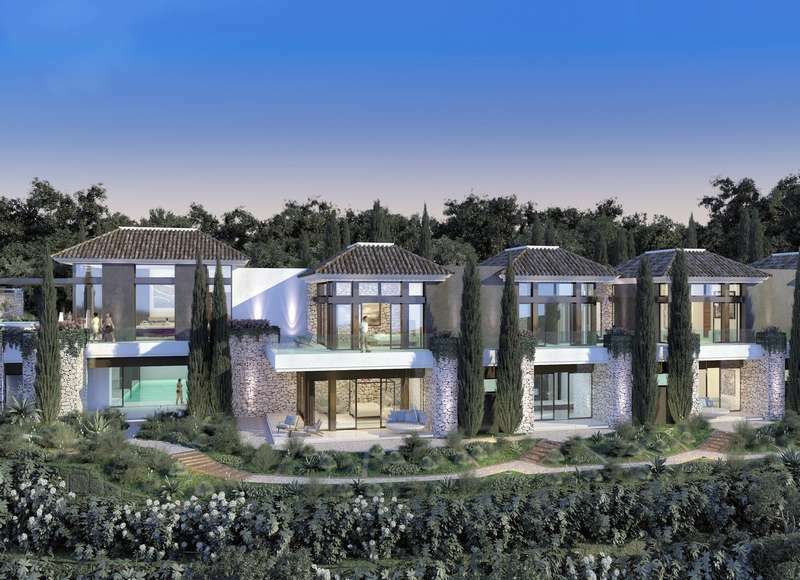 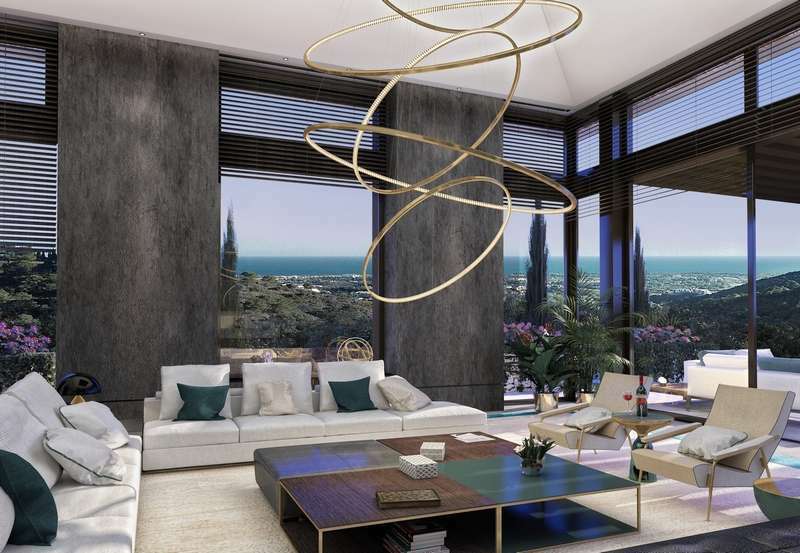 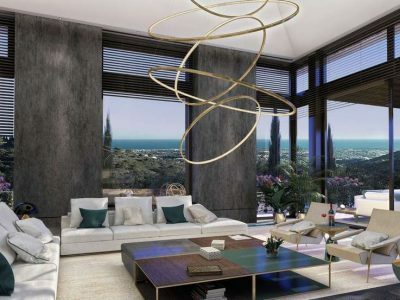 Magnificent, brand-new contemporary mansion with breathtaking sea views in La Zagaleta, Benahavís. 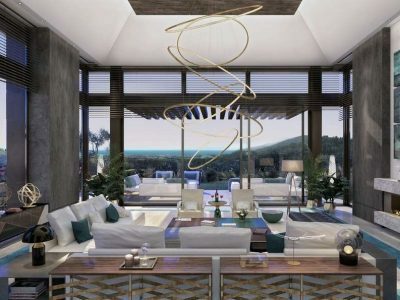 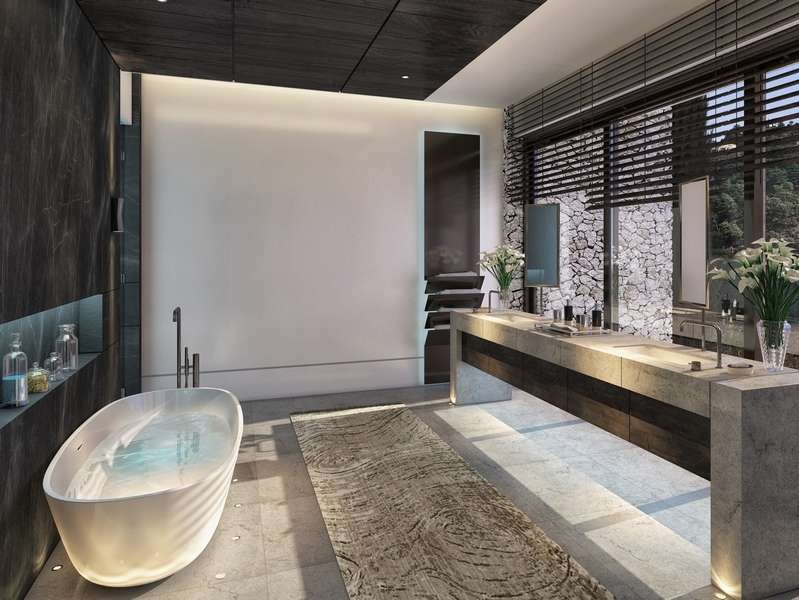 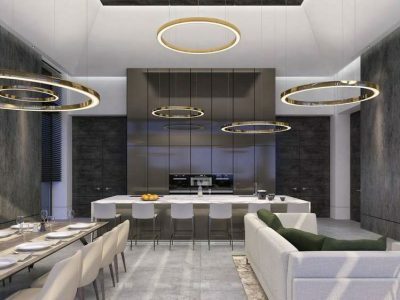 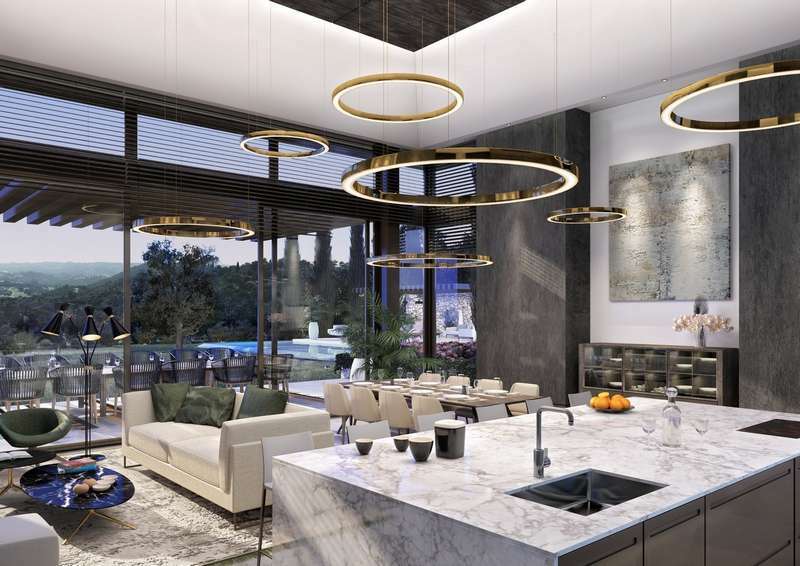 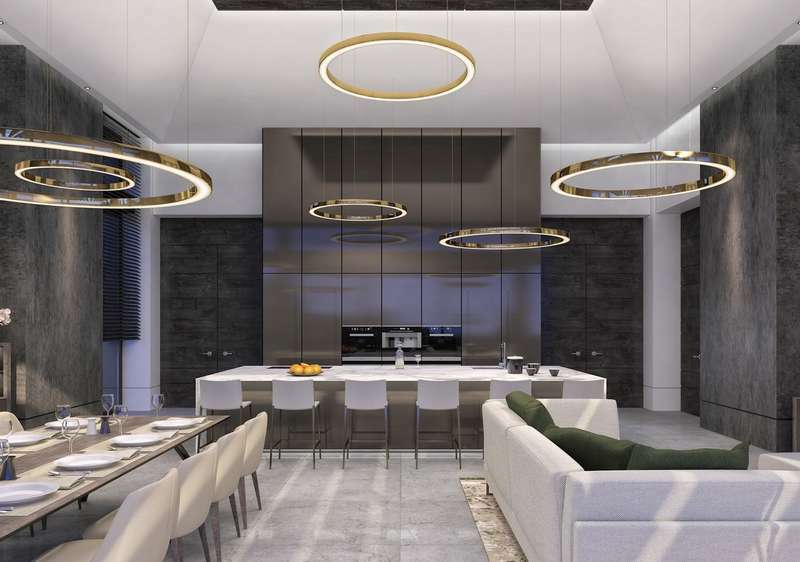 Designed by the renowned architects Tobal Arquitectos, this stunning property provides a seamless connection between nature and architecture. 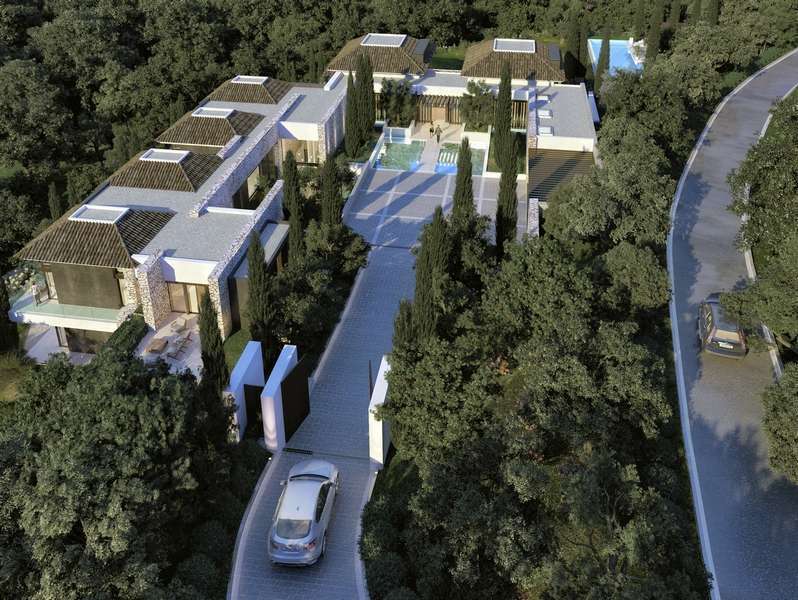 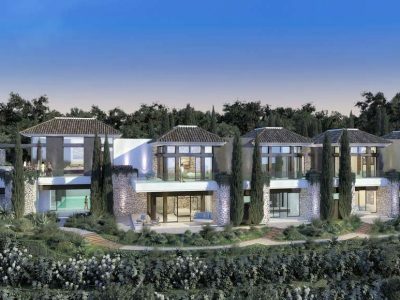 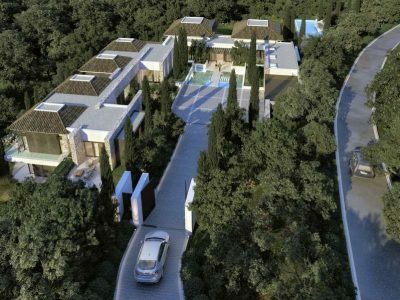 Set in a very private and secluded plot with a spectacular garden featuring cypress, pine and cork oak trees. 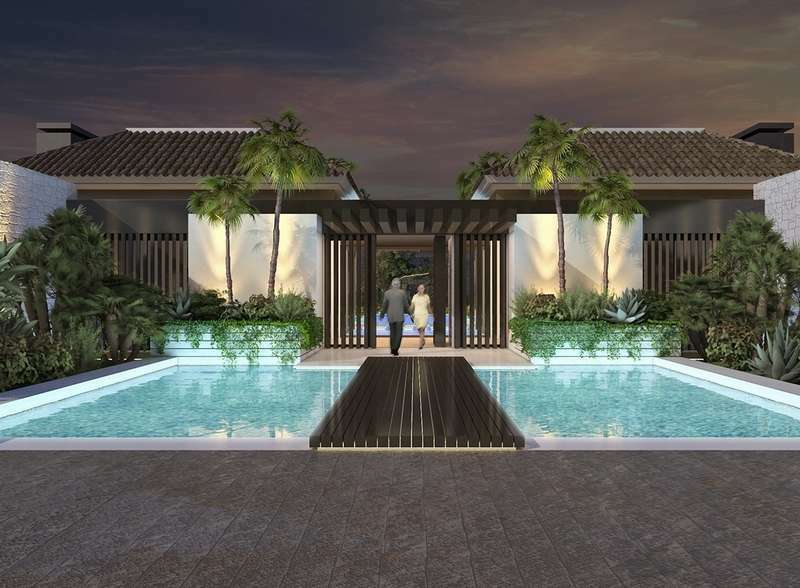 An impressive courtyard leads to the main entrance of the property which is accessed via a bridge with a water feature. Distributed over 2 levels and finished with high quality materials and top-of-the-line engineering systems, it comprises, on entrance level: hall; guest toilet; dressing room; living room with fireplace and access to covered terrace; kitchen with open-plan dining and sitting area and access to terrace; second kitchen with separate entrance; 2 en-suite bedrooms; guest apartment with 2 en-suite bedrooms, lounge and separate entrance; large terrace with fabulous views and access to the pool with a BBQ area, shower, toilet and storage room; 4 car covered carport. 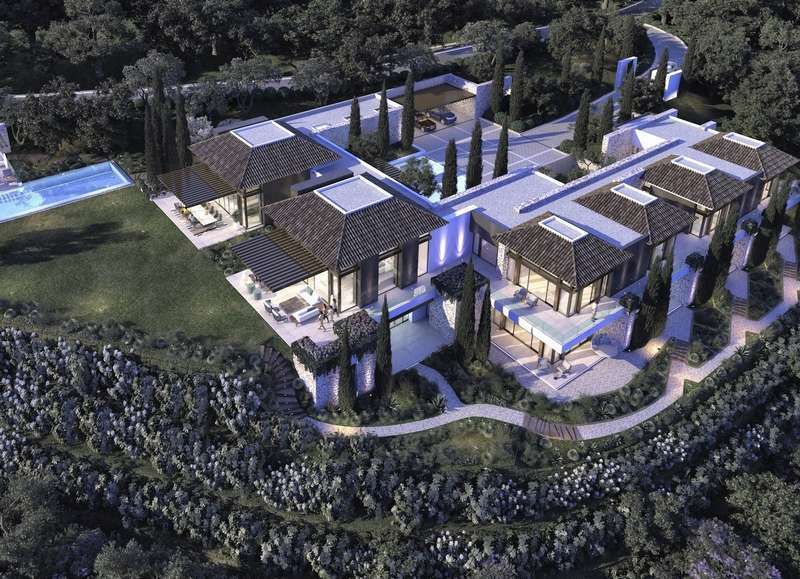 On ground floor: second en-suite master bedroom with dressing room; 3 large en-suite bedrooms with dressing areas; gym; complete spa area with indoor pool, massage room, dressing room and toilet; cinema/games room with wine cellar; interior courtyard; laundry and storage area; staff apartment with 2 en-suite bedrooms; technical room. 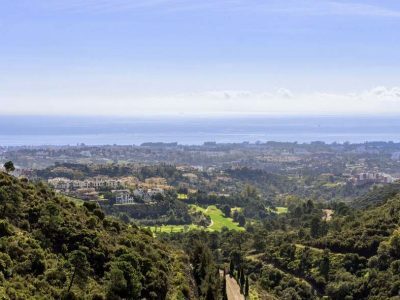 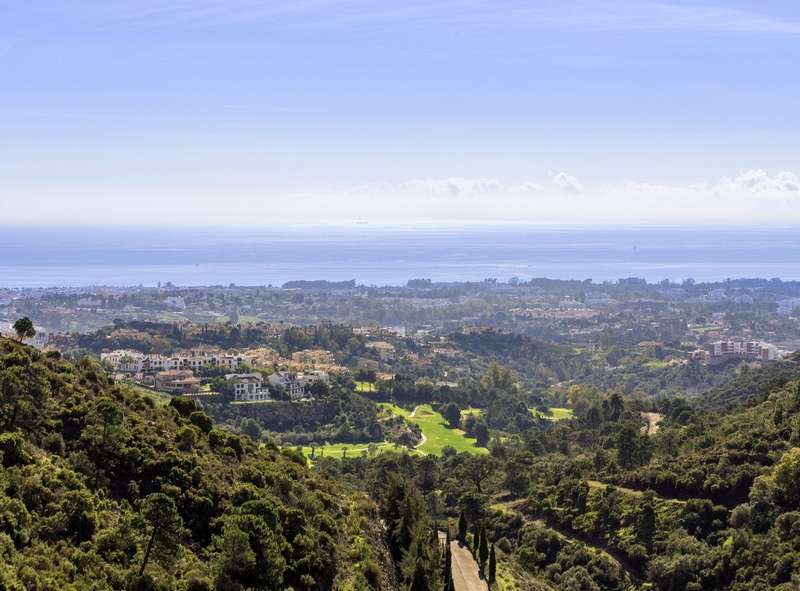 Situated in the prestigious La Zagaleta Country Club in Benahavís, which offers the very highest levels of security, privacy and facilities. 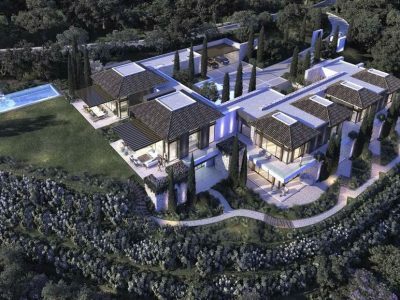 A unique property with lots of special features.